Hometown love can't be beat! 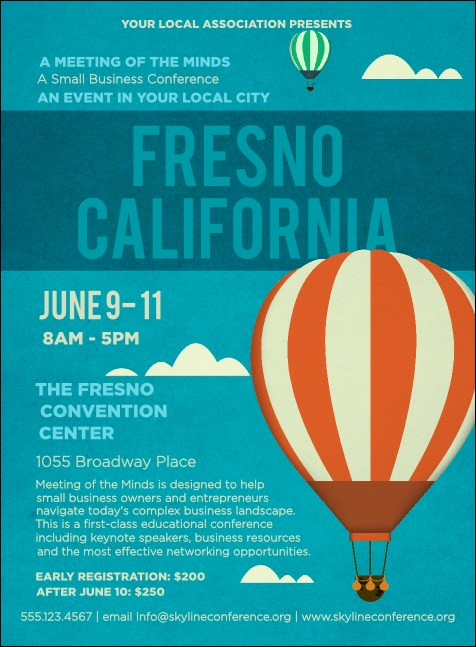 If you're hosting a local or regional event, why not share your civic pride with the Fresno Invitation?. Here's your chance to showcase your city and the skies above it. Beautiful balloons and blue sky provide the background for your custom event details. Get in the local spirit with matching Event Kits from TicketPrinting.com.